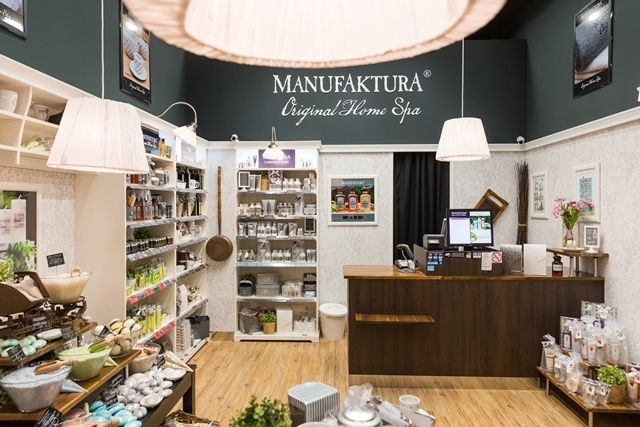 MANUFAKTURA is an exceptional 100% Czech concept of brand name stores with its own original cosmetic products and accessories for unique home spa. Why home spa? We live in a fast-moving world, in stress, tension and rush. A pleasant rite of home spa accompanied with a lit candle, scented bath, refreshing shower, massage, a cup of tea or another way of pampering yourself helps forget daily problems, reach physical and mental relief and simply relax for a while. Formulae of the original and high quality products exploit beneficial effects of traditional Czech natural ingredients - Czech beer and hop extract, Carlsbad thermal spring salt, wine and grapevine extract, apricot, plum and other fruits and herbs typical of our country. Attractive home spa accessories, i.e. 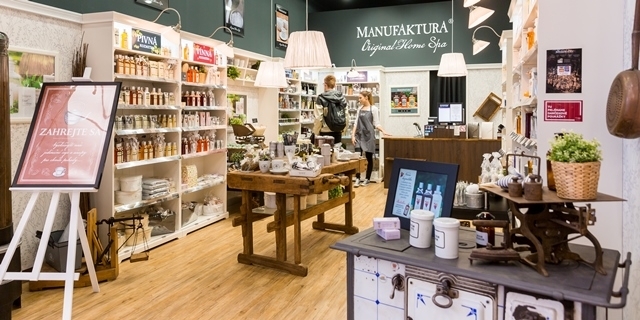 tea, candles, massage tools, porcelain and others, are custom-made in collaboration with traditional top quality Czech manufacturers who are always given preference for cooperation with Manufaktura.